Hearing God’s voice can sustain us through the stormy weather or dry seasons in our lives. No matter where we are or whatever is going on around us, His voice is enough to bring peace, joy, hope, and bliss into our trying moments and circumstances. All we need to do is find a quiet place where we can connect with Him in order to release the abundant joy that He alone can give in moments of our loneliness, anxiety, or discouragement. Here is a testimony from one of Christian Leadership University’s students on how God restored His Joy into her life during her season of anxiety and exhaustion. He responded to my question by showing me with love that I had lost His Joy in my heart. By making the Joy pictures and impressions come alive in my heart, He was teaching me and guiding me slowly on how to reclaim it. In January I had started the course “4 Keys to Hearing God’s voice”. The same month my husband and I went to Redding to visit Bethel and while we were waiting in line to enter the church, I noticed that the lady standing in front of me was acting really bizarre. She was somewhat wacky, I thought as I watched her. Since we were constrained to stay in the line, otherwise we would lose our spot we struck up a conversation and she became very endearing. She was honest, somewhat kooky, and very childlike. She was also smart and an artist. I knew she was right brain through the training I was receiving in the course, “4 Keys To Hearing God’s Voice”; she was my polar opposite. I tried to be gracious and patient and allowed her room to be creative, as I sat stuck in my left side brain of reasoning. She reminded me of “Dory” from the movie “Nemo”… As I watched her I could see without any doubt in my heart that she loved God. She told us while we were in line about her painful divorce and how she is believing God for a new start that was even better. She was not bashful or embarrassed about her painful experience in life. Her JOY was contagious but I still did not get it. What was making her so joyful, childlike and merry, I wondered? We were all discussing with the other people in the line about how beautiful the dancers in the church were that were flying flags, then she said that she owned a pair of flags and they were in her car. Jokingly, I said you should go get them and put a show on for all of us in line. She smiled and said, “YES I will be right back.” She started dancing in the parking lot for us all and was laughing and smiling. She was awkwardly awesome. The best part was SHE DIDN’T CARE WHAT I OR ANYONE ELSE THOUGHT. She was dancing with JOY for the King of Kings and was having a ball doing it. Then she handed the flags to me and said, “You try it.” I laughed and said OK; I grabbed those flags, and danced around; I had so much fun like I didn’t have a care in the world. I didn’t give a thought or worry about my business, I was not stressed out or tired. At that moment, I think the right side of my brain exploded because it was being used for the first time in a way that it had never been used before; dancing in public with flags in hand, without a care about who was watching… HA! My new friend was wacky and I liked her style. I have come to see God LOVES wacky people. It was time for us to go inside the church, my husband and I got inside before she did and decided to save her a seat upfront….everyone ran in crazily to get a seat. when I motioned for her to come sit with us she was ecstatic. As the music started to play, she started dancing and getting excited. I suggested for her to go up front because I did not have the boldness to do it. She surprised me when she said YES and ran down to the front. This is when I saw and witnessed JOY and it sank in like a visual impression. She was dancing with so much JOY it was funny and contagious at the same time. She was smiling and leaping and turning and singing. I was in awe….God was showing me a visual representation of someone “sold out” to Him. Total abandonment with the focus only on Him. God was using this wacky person to teach me the meaning of the word JOY. A few days prior to reading this, I was teaching my 3-4-year-old baby dance class. I had a brand new 2-year-old trying out the class, so I got out all my “tricks and tools” to keep this baby occupied. The new student’s mom popped in a few times to snap some photos. She later sent me some of the photos and I posted them with the words “PureJOY.” That was it! I was dancing for my King with His little angels and we were having so much fun. God was showing me that working with students teaching them and sharing with them brings PURE JOY. It is as if He is in that room with us and I see the kids as He sees them. Then I noticed in the photo we were dancing with scarves.The wacky lady had rubbed off on me. This was MY flag this was the JOY He was bringing back to me. He was showing me how to find JOY in my classes again by dancing for Him. I always had Joy but I didn’t recognize it, I didn’t know how to tap into it during the dry, repetitive and strenuous seasons of my life. Jesus revealed His incontestable joy to me in my trying times, when I could only see the grey side of life and my situation. He made His joy real to me, by bringing me into contact with a stranger that was the complete opposite of me, who has now become one of my dearest friends. Through this experience, my Joy has been overflowing, and I know that no matter what the circumstances of life may be, His joy will always keep me hopeful, at rest and at peace. I am so grateful that He used a wacky sold out to Him stranger to teach me that His Joy lives in my heart and it will keep me stable in times when life seems like a huge weight. I have His Joy back in my life. Thank you, Jesus!! Thank you for giving me full control of the eyes, ears, mind, will, and emotion of your heart. This is where the language of your heart is able to understand Me best. The revelation of dreams is coming, keep asking for visions in the night. I hear your words and I love your hunger.Your Spirit -led reasoning is getting more defined as you allow Me to step into this role with you. You are a hearer with faith. I speak to you about things yet to come and you claim it in My name. That is my girl. Thank you. This post really spoke to my heart. I yearn for His joy. It always seems just beyond my reach. Alice, with God all things are possible. I am glad the post was a blessing to you. The course “Hearing God’s voice” can help in the journey of discovering God’s love and His rivers of joy, especially in knowing Him intimately. There are also Personal Spiritual Trainers available through Communion With God Ministries who can guide you in Hearing God’s voice if you are interested.I pray that the Lord will fill your heart with His joy and His unconditional love for you. Blessings! Great post! Hearing the SSV- Still Small Voice is utmost important. My sheep hear my voice. Only his sheep hear his voice. This leads me to profound point that it is more important for us to know our position as his sheep than how to hear his voice. Thanks for this great post. Appreciated from New York! Julian, glad the post was a blessing to you. Yes, I agree with you, we are His sheep and He is our Sheperd; His voice is invaluable in our walk with Him. Blessings! What a blessing to read! I am a stay-at-home and homeschooling mom and I have often battled burnout. When I was talking to my mom about it, she suggested that I pray and ask God to restore to me the joy of being a mother. I may have prayed once lol. Reading this post makes me want to really press in until joy is fully restored in my life and I am serving the Lord with gladness as I step on LEGOs and wipe sticky hands! Hi Kina, I do understand what you mean, I homeschooled my kids for a couple of years as well and when I look back now I can only give God glory for His grace and faithfulness. 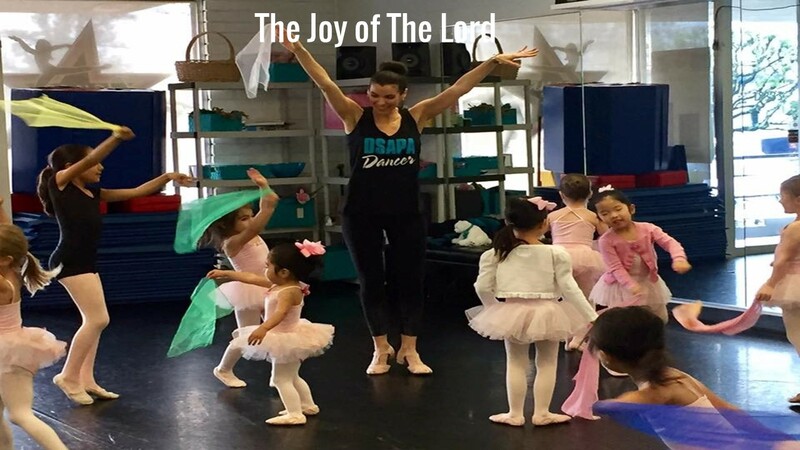 I pray that the joy of the Lord will be restored in your heart and His strength will fill you up as you continue the wonderful journey of being a mom. Blessings to you!